Five years ago, cinema lost one of its most sublime visual talents. Satoshi Kon, just 46 when he passed away from pancreatic cancer in 2010, was a true original whose films probed at the edges of reality and delineated with frightening accuracy the impact of a technological society on the human psyche. Without his work, Neo might never have taken the red pill, and the post-Matrix rash of Hollywood films dealing with subjective reality – Fight Club, Inception, Requiem for a Dream – might never have tumbled down the rabbit-hole and on to our screens. So why aren’t we seeing more tributes to his art? None of Kon’s endeavours were big box-office either at home in Japan or abroad, though his relatively slim oeuvre – four films, one 13-part TV show – won him a fervent cult following during his lifetime. 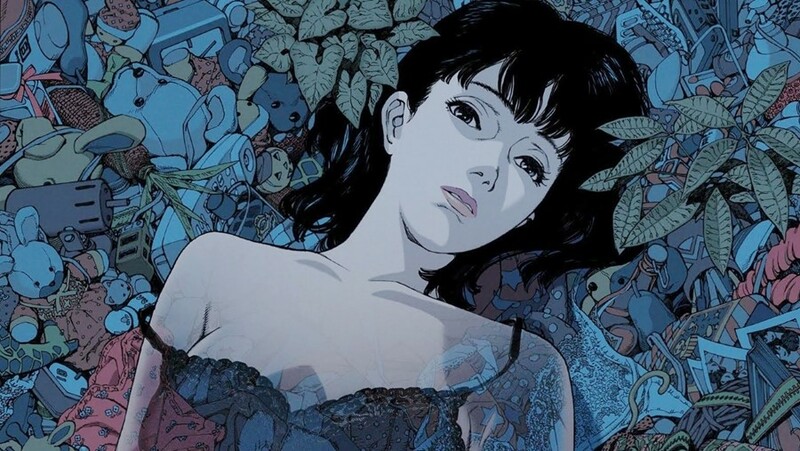 Among fans of his debut, 1997’s Perfect Blue, was Pi director Darren Aronofsky, who purchased the rights to the movie – a chilling, mind-bogglingly meta blend of Hitchcock and Argento for the post-internet generation – with a view to authoring a live-action remake. That project never got off the ground, but Aronofsky did lift a bathtub scene from Kon’s movie wholesale for his next film, Requiem for a Dream (2000). Kon’s questioning of the assumptions underlying what we call ‘reality’ in Perfect Blue foreshadows the high-concept sci-fi of The Matrix, too. 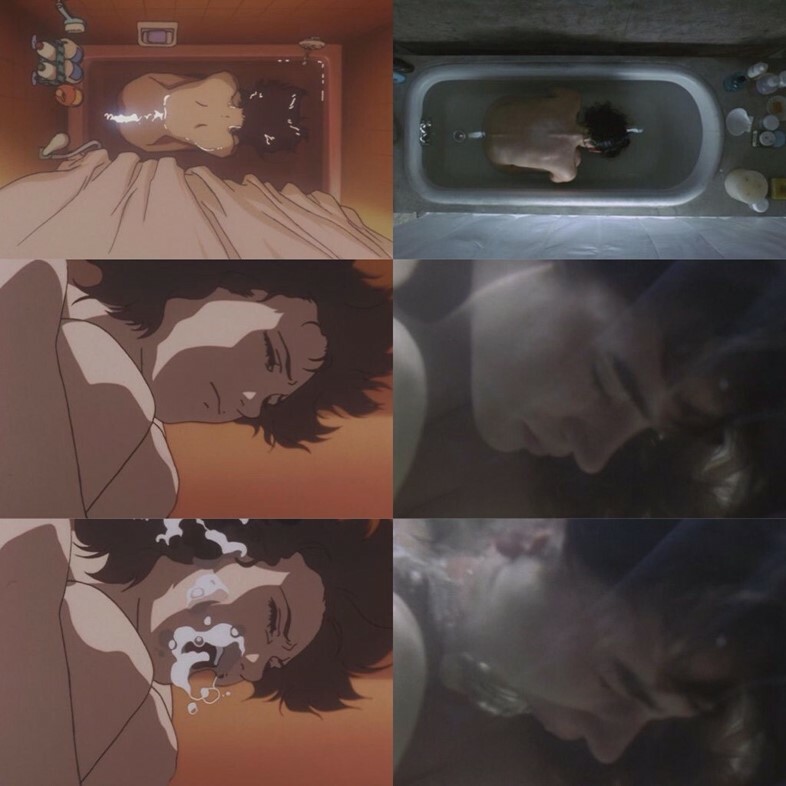 Whether the Wachowskis had seen Kon’s movie before scripting their movie is a moot point, but certainly, the siblings are self-confessed manga nuts, and the film’s ideas about the self and how it constructs the world around us resonate deeply with Perfect Blue’s postmodern take on being and uncertainty. (Interestingly, Kon’s Millennium Actress (2001) beat both the Wachowskis and Aronofsky to the punch in its era-hopping tale of love across the ages.) Perfect Blue’s vision of a dynamic, ever-shifting reality chimes in with another theme in the film: the internet’s erosion of personal privacy, a topic Kon would later return to with Paprika (2006). A surreal cyber-thriller concerning the theft of a contraption allowing the user to view people’s dreams, the film’s premise finds a striking echo in Christopher Nolan’s Inception (2010), a fact which, once again, has not eluded eagle-eyed anime buffs. 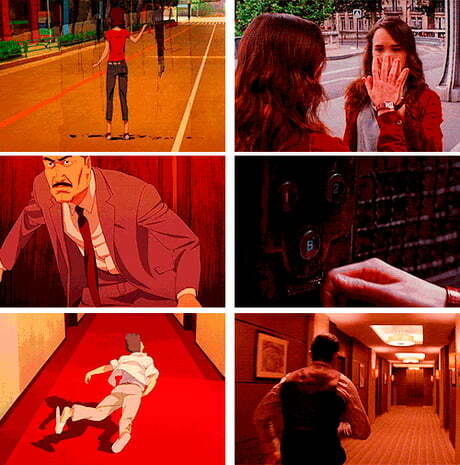 But where Nolan brings his signature steely precision to Inception, Paprika cuts loose with the material in ways Nolan could (literally) never dream of – the title credits are a tour de force of visual imagination, while the opening dream sequence comfortably out-weirds Inception’s topsy-turvy hallway fight scene. The film drew a standing ovation after its premiere at Venice Film Festival, a critical triumph to match earlier acclaim for the likes of Perfect Blue, Millennium Actress and his other feature-length animation, the less overtly trippy Tokyo Godfathers. (His TV show, Paranoia Agent, is described promisingly by Kon biographer Andrew Osmond as recalling Twin Peaks and The X-Files). All the same, there’s a sense that Kon, a talent to rank with peers such as Aronofsky and Nolan as well as influences like Terry Gilliam and David Lynch, has not yet received his due as a director. Before his death, Kon wrote a long, moving letter about the progression of his illness, and his fears that his final film, a children’s feature, would never make it to the screen. The project – which may yet see light of day – was called Dreaming Machine. As a title, it feels like an apt summation of the man’s talents.